Stay tuned for more updates on this house! My clients move in later in February and then I will have tons of photos to share! Christie Adams Design is a Bergen County interior designer based in Wyckoff NJ. Available for renovations, additions or single room projects, Christie works in Bergen County NJ including towns such as Ridgewood, Glen Rock, Montclair and Midland Park. If you are a home-owner or builder or developer in the Norther NJ area please reach out so we can learn more about your project. 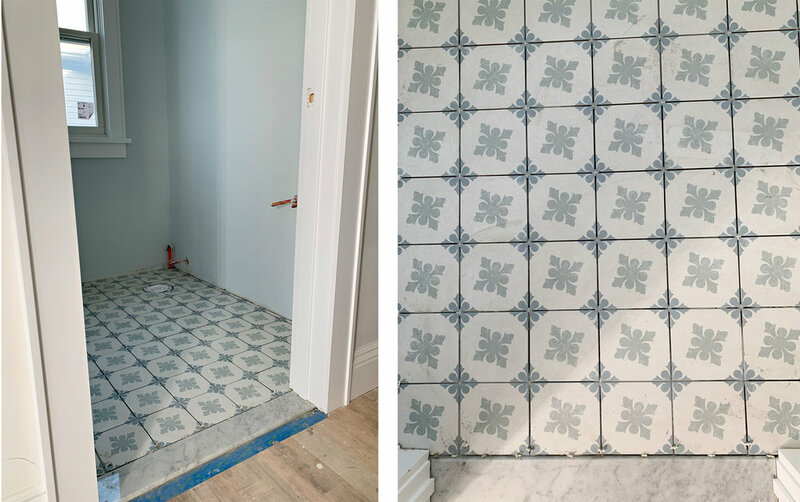 I am loving the nursery project that I’ve been working on for a client who is doing a renovation on her Bergen County home. Here is a rendering of her little boy’s room that will soon be a reality as they move in next month! I will be sure to share photos of his room (and the rest of the home) as soon as everything is ready next month. This has been a project that I’ve been working on since October and there are so many beautiful rooms to share! Christie Adams Design is a Bergen County NJ interior designer and decorator based in Wyckoff NJ. Available for whole house renovations as well as single room transformations, contact us to learn more about how we can work together. If you are in Northern NJ and have a room (or home) to transform, I’d love to connect! We also work with Bergen County builders and developers who are flipping houses in the Ridgewood / Wyckoff / Glen Rock area.